I have deferred publishing The Strategy-part 3 until now as I first wanted Mr Market to deliver his verdict that we here at Rambus Chartology have gotten these market phases right. Since this analysis is so outside the mainstream it has been met with universal skepticism from the beginning. 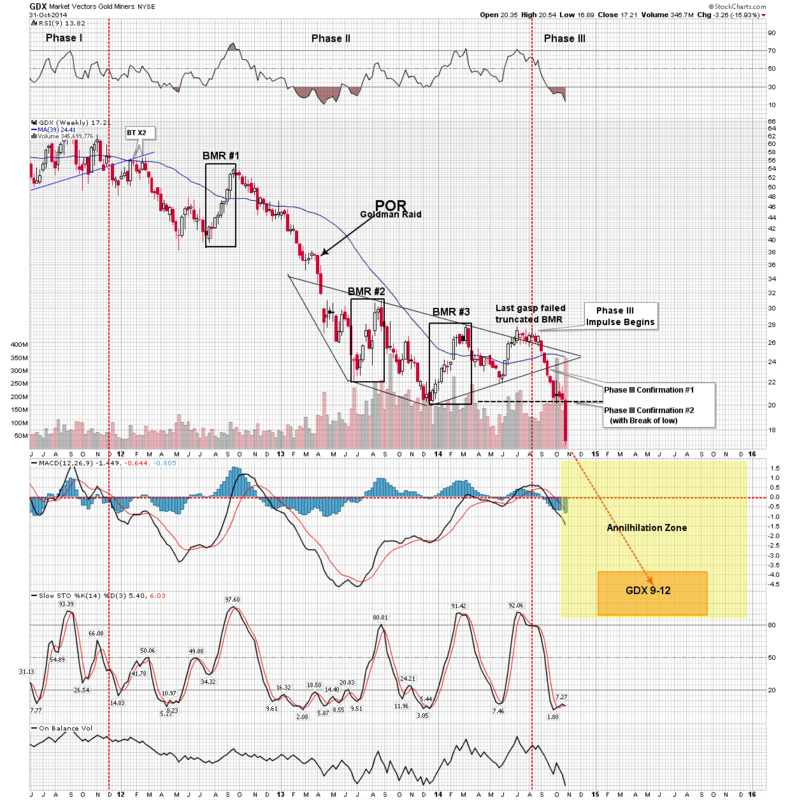 This week the PM market officially entered Phase III of the great precious metals bear market of 2011-201X, and the market has validated our thesis. No more can our analysis be panned by perma-bull soothsayers, as we have established a documented track record which forecast this event as far back as two years ago. After the Goldman bear raid 19 months ago, we were able to put a stake in the ground of this bear market and use that event to identify the public’s collective recognition that we were in a bear market which we labeled point of recognition (POR). Using the POR as a known time and event plus chartology we were able to model the eventual outcome of this bear market. Despite most PM market gurus repeating continuous calls of a bottom. we held steadfast in our conviction that this bear would not be over until we witnessed the final phase III. The official entry of phase III occurred this week with the violation of the December 2013 lows in the PM shares. This should put the skeptics and doubters at bay . I now call the market gurus who have advocated “staying the course” over the past 3 years to account. Your dogma has cost your followers dearly. Just last week at a mining conference I had a conversation with a prominent market forecaster and self appointed pm guru , who still clings to his year end target of $2,000 gold. Apparently market reality has no effect on these delusional forecasts . Here at Rambus Chartology we have identified the bear market rallies for what they were, typical rallies in a bear market, and have used our analysis to forecast this ongoing carnage and in fact profit from it. 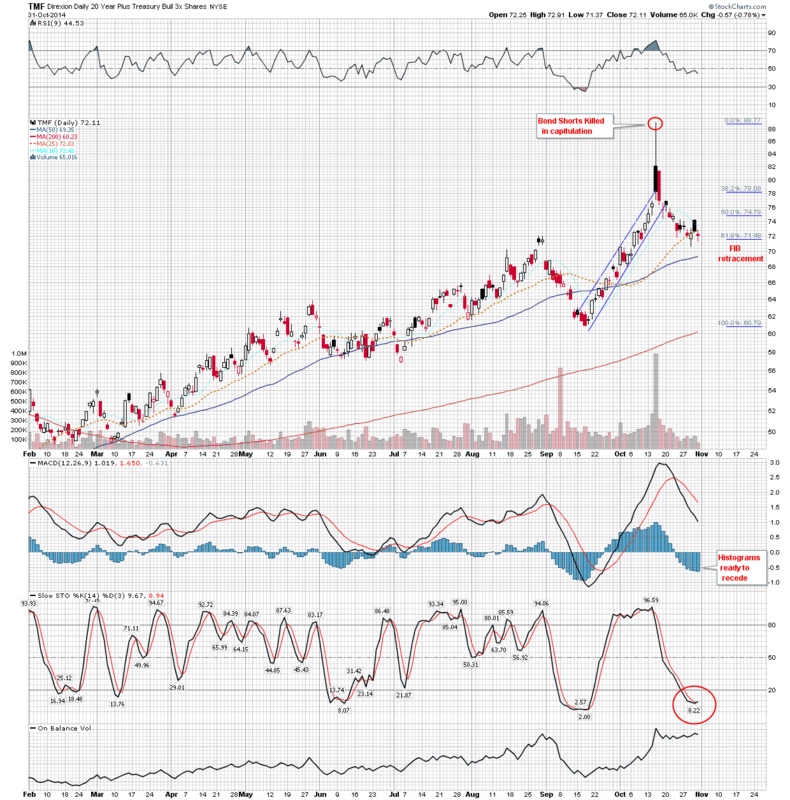 As a writer for Rambus Chartology I operate independently and my views are not necessarily in line with Rambus himself, however I have the freedom to present my analysis as I see it. That is what the community is all about, encouraging diverse market analysis combined with Chartology in a non dogmatic atmosphere. In this final essay, I offer one man’s opinion on how to navigate the treacherous final phase III of this bear market : The following chart chronicles the series of bear market perspectives I have published over the past 18 months. While many PM market prognosticators were engaged in calling a series of bottoms and announcing a new PM bull market, we were exploring the bear market process based on bear market history and outlining the path to a bottom that would be shockingly lower than most could imagine. This week the market delivered its verdict and validated this analysis. This weeks action in the metal stocks kicked off the final phase of the bear market. I have labeled it Phase III-the annihilation. This collapse has exposed permabull PM market soothsayers as clearly the price action has unveiled these gurus as operating with either delusion or with flawed tools and models. Our objective has always been to leave opinions at the door and allow the market to reveal its truths through its price action. As Rambus recently put it when asked why Chartology works : “Many Thousands of investors created this chart and all I do is find the meaning of patterns they’ve left behind. Anyone can do it with a little practice”. The goal of course is to arrive at the bottom with our capital intact and to be able to buy at below known values prior to the start of the next bull market. Instead of hoping for a double or triple bottom or the birth of a new bull market moonshot, we used our understanding of chart patterns and past bear market psychology to see a possibility that no one else seemed to see. The Possibility that this bear market was far from over. 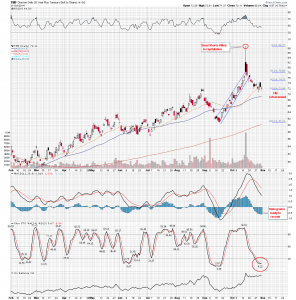 Chartology is where Classical Chart Analysis meets Market Psychology ( Chart Ology). In the last essay on October 8th I stated that the start of Phase III would initiate with the trap door swinging open. That’s exactly what we witnessed this past week. Phase III launched itself with a bang. Once the December lows were violated the deluge began, right on schedule, it symbolized the point where all hopes of a new bull market were now snuffed out. 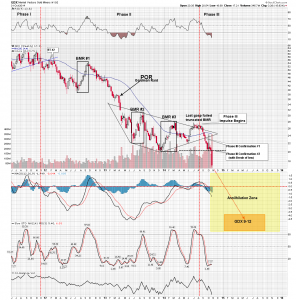 In the Apocalypse Now pt 2 essay I mentioned that gold bugs who have endured three years of pain would begin to lose grip and start the capitulation process. All but the most delusional would now be forced to confront the bald faced reality that the prophets calling bottoms for the past three years are themselves delusional. I mentioned as the gold bear market continued lower it will be seen as a bottomless pit and many faithful will finally give up while others will undergo forced liquidation. Below is a quote captured from a popular web site forum this week that reveals this exact psychological shift which occurs when the trap door swings open at the beginning of phase III. I am now net negative to when I began investing in PM in 2000. It’s clear I have not been a good investor (gambler) who has continued to bet on the wrong horse for all of the right reasons. Having gone this far, I know of no escape from my financial wipe out that lurks on the near horizon. Surely selling my PM stocks this late in the game would be foolish; however, continuing to watch them crash daily without recovery of any kind is a recipe for yet further disaster. It is quite a conundrum. I, probably like others am beyond the point of no return. I’ve held on tightly to this point, but feel like a fool to continue, as I must. This poor fellow is just another example of the fuel that will power phase III just like the story of Lloyd the goldbug (a true story) I described in the previous essay. It is sad to see someone so trapped in his dogma that he cannot bring himself to do the right thing. Do you think the man who wrote this is going to continue to hold or will he be a seller as we continue to plummet? , as his solvency continues to erode what do you think he will do? 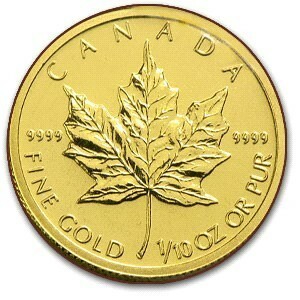 Gold, Land, Fine Art, Alternative funds (speculative accounts), & Cash. I like his rational for fine art as he says it performs the role of inflation protection as gold should do but hasn’t been able to. He points out that Janet Yellen does not wake up every morning focused how she is going to suppress the price of fine art today. I endorse Jim’s strategy however I recommend a few changes in light of our differing views of the current state of the gold market. There is of course no one universal portfolio that fits all so consider this my optimal approach to surviving phase III and transitioning into the next PM bull market. The percent allocation for each category is a personal individual choice based on ones ability to mange and comfort level. I offer a suggested percentage. Cash – The chief benefit of cash is it preserves optionality. Of course it’s earning virtually zero income due to the FEDs confiscatory ZIRP policy as the interest income you would be earning in normal times is being pocketed by the banks. The banks are lending at high rates (have you checked your visa card) and borrowing at 25 basis points. So cash seems like a bad idea, but its my premise that preserving the ability to move fast justifies the loss of income. Someday when your neighbor goes BK its going to come in handy to be able to take that shiny BMW off his hands that he can no longer afford. 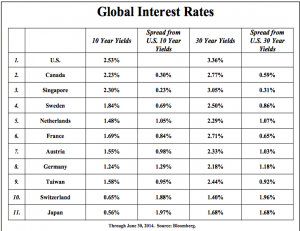 The Case for US Government Bonds- This is my surprise candidate to face Phase III with. Frankly, I have never been a bond guy because I could never get past the gold bug narrative of evil FED prints money leads to hyper inflation tomorrow. I have to thank Van Hoisington and Lacy Hunt in giving me an education to finally let go of this analysis that sounds logical but just hasn’t unfolded…yet. Van, an institutional bond fund manager, has held US long term government bonds unwaveringly for over 20 years now. What he saw that took me so long to see was the power of debt overhang and its dynamic to force a deflationary outcome. It centers on the concept of the quality of income stream which is produced from the asset that the debt was used to purchase. I expanded on this in parts 1 & 2 when I established the macro case for financial asset deflation. 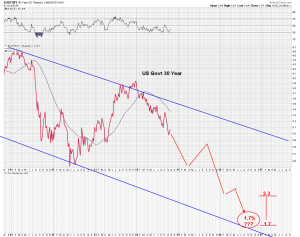 Bottom line, the PM and commodity decline is signaling deflation despite the FEDs attempts to counter it and this will power long term government bonds upward. As the worlds reserve currency a major part of all world wide debt is denominated in US dollars. As marginal countries are forced to de-lever it will act as a short covering of the USD and force the USD to rise. 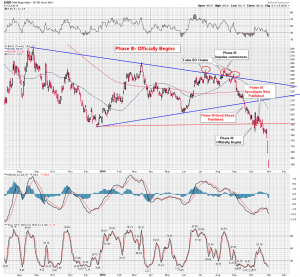 As the economies of peripheral nations falter it will drive capital towards the core which is the USD and its economy. This will continue to stoke our Sovereign bond market until the currency becomes suspect. Just as occurred in the great depression government bonds should rally until we reach a point of banking conflagration as we did with the failure of the Credit Anstalt Bank in May 1931. By then gold should resume its traditional role of being an asset with no counter party risk and last ditch store of value. This is how we should transition into the next bull market in gold. 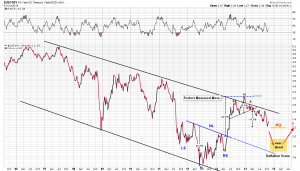 It wont be an easy transition as Mr. Market will do his utmost best to throw off initial bull believers just as he has done to the bears on the way down. 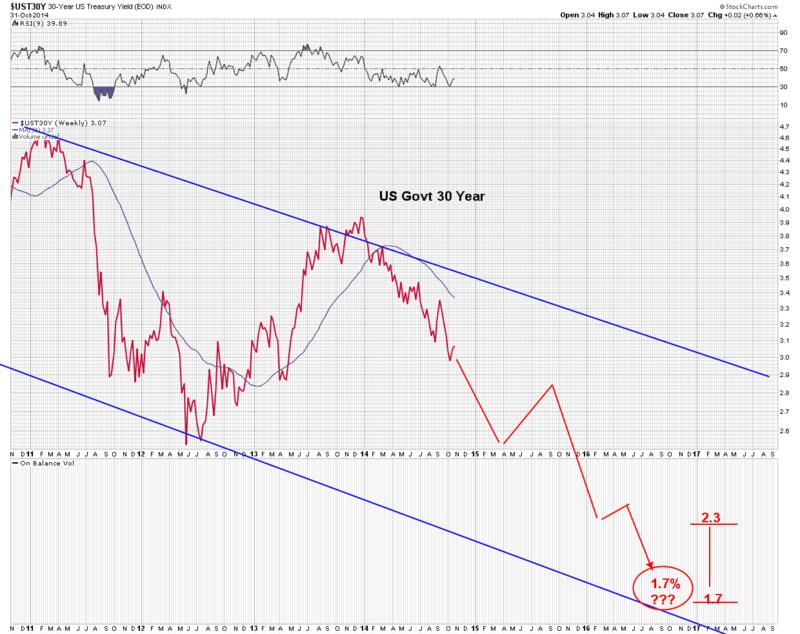 Until a similar banking crisis emerges US Government bonds should rally and interest rates decline. 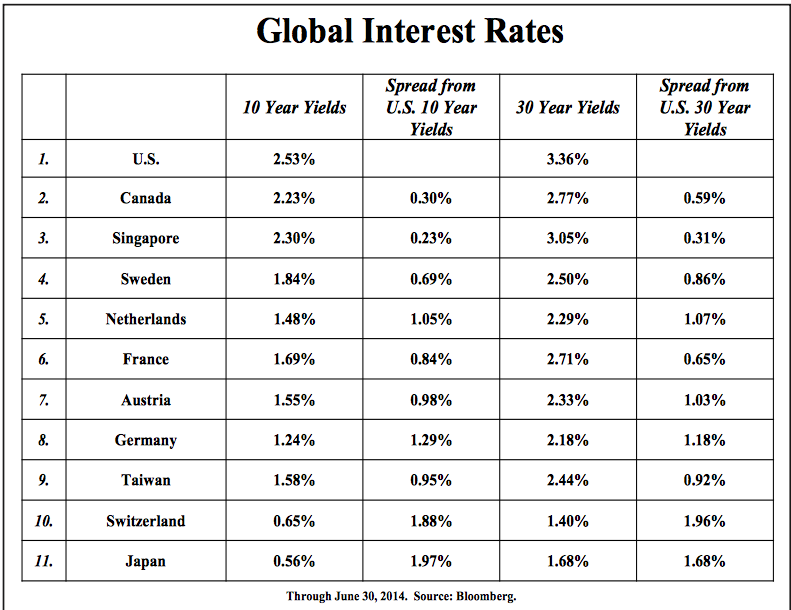 At present US interest rates hover above those of most developed nations and its easy to imagine how with a stronger USD rates can at least match that of other nations. Hoisington is forecasting long US rates to fall to a range of 1.7-2.3% If this outcome transpires holding US debt is a good place to hang out as Phase III ravages the PM sector. 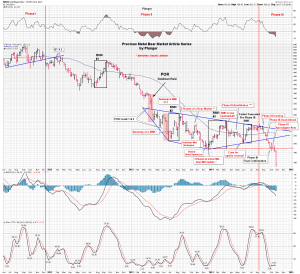 The Chartology of the 10yr Treasury bond has proven to be absolute text book as it has remained inside its channel and carved out perfect H&S patterns at its channel boundaries. These H&S have perfectly fulfilled their measured moves and have provided guidance in forecasting the 10yr. My personal choice of a vehicle to position myself in the long bond is TMF the speculative Dirextion 20 year Plus Treasury Bull 3X ETF. Its not for those with a queasy stomach, they may prefer the 10 year TLT. Caution He doesn’t call it a kamikaze portfolio for nothing : He is trading in the very risky 3X Precious Metals Bear ETFs such as JDST and DUST . Obviously the US general stock market especially the techs and the Biotechs have been a great place to be for the past few years. It may or may not continue…that’s your call. Gold Coins- Seriously? After forecasting lower prices I am suggesting holding a physical position? Yes, I am and its chiefly an acknowledgment that we are not infallible. 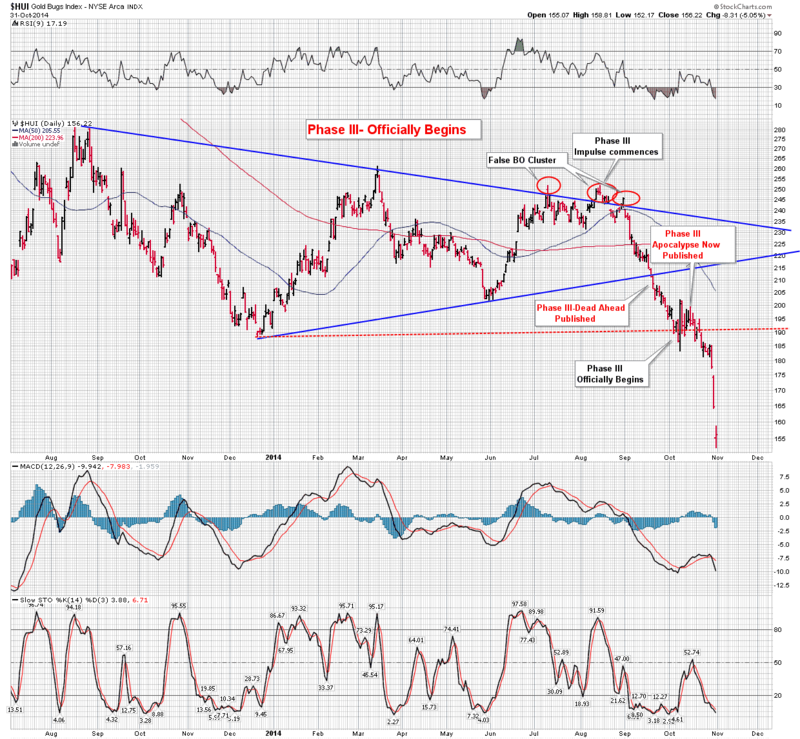 The worst case price objective of gold that the charts reveal is in the $700s. Even if it gets there that’s just a paper price, and I suspect that just like silver in the crash of 2008 the physical was simply not available to be purchased anywhere near its lows. 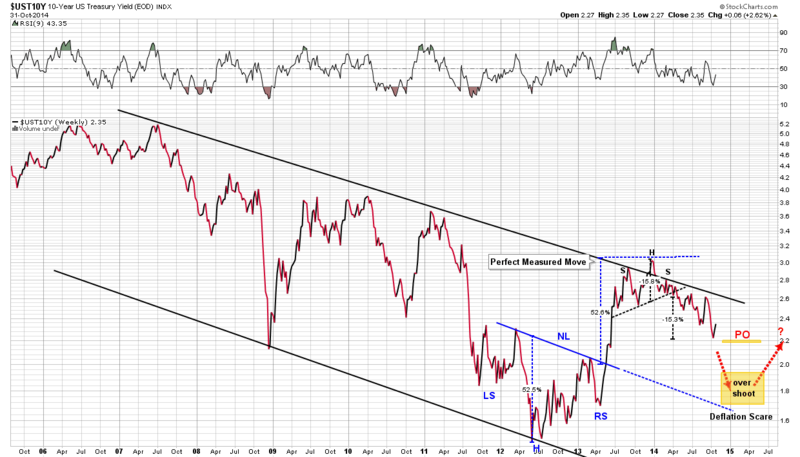 Its my thinking that the same occurs at golds upcoming low, you just wont be able to buy it down there. I am content in holding my physical position with the price decline as it is insurance for today. I also subscribe to the possibility, outlined by Rickards that the eventual outcome of the upcoming crisis is an overnight transition to a new monetary regime. 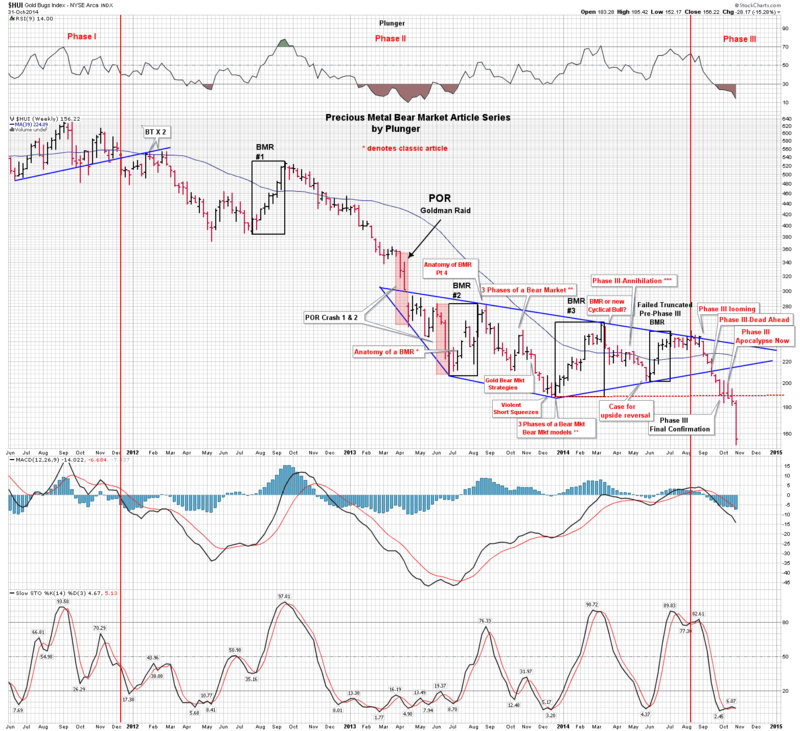 It is speculation what this regime will look like, but it very well may include gold as a monetary instrument and overnight could be reset to much higher levels. If one is sitting on the sidelines he simply will not be able to enter the market as there will be no supply. You snoozed, you loosed! Rare Strategic Metals- (Swiss Metal Group) Here is a new concept. It is my substitution for Rickards idea of investing in fine art. Rickards offers vehicles for fine art such as partnerships or mutual funds which do this for you, however the minimums can be a bit steep. Gold simply has not effectively fulfilled the role of an inflation hedge whether this has been due to government suppression or some other dynamic I leave for others to argue. Fine art fulfills this role, its an inflation hedge as the FEDs massive money printing has not flowed into the general economy but instead gone somewhere else. Its reflected in the prices of fine art which is a byproduct of crony capitalists channeling some of their profits into something tangible. Although I believe we are at the cusp of a deflationary impulse (hence phase III) I expect it will be transitory and will be followed by a significant inflation. This is why I offer strategic metals as an alternative to fine art. It acts as an inflation hedge while not subject to the deflationary contractions as the base metals are. As we enter a kondratieff war cycle governments will want their supply of war material and prices should remain elevated. I subscribe to the thinking that after the deflation the world will experience rampant or galloping inflation. The source of this inflation however will not be the US FED. Instead it will be the Bank of China as they will be able to debase their currency in a massive attempt to escape their debt bubble. The best source espousing these views is Russell Napier of the University of Edinburgh. So here we are, finally reaching the long awaited phase III. Robert Rhea developed the 3 psychological phases of bull and bear markets in the 1930’s and I have extended his work by assigning actual price action to the 3 phases. Combining this with the art of Chartology we have been able to interpret the language of the market which has revealed to us that the PM bear market was far from over. Phase III is best described as The Horror, which I penned on April 6th 2014, it was not meant as hyperbole it was intended as a warning… it is now the reality. Personally I take no joy in coming to these realizations , as by nature, I too am a goldbug .